Postman Pat, Thomas the tank engine and adorable Rosie and Jim lunchboxes were all big in this decade, not to mention some great retro sweets like Crystal Pepsi, Pex dispensers were back and Super Mario Brothers lunch boxes. So enjoy another trip down Tupperware town in the nutty nineties. This entry was posted in LunchBox and tagged 1990 by Skooldays. Bookmark the permalink. 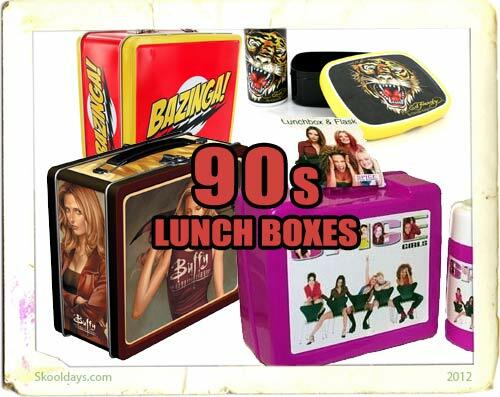 Where can I found these’s lunchboxes? I use to have some of the 80’s and 90’s ones.